This entry was posted on Tuesday, October 28th, 2008 at 12:14 pm	and is filed under Holidays, Photos. You can follow any responses to this entry through the RSS 2.0 feed. Both comments and pings are currently closed. 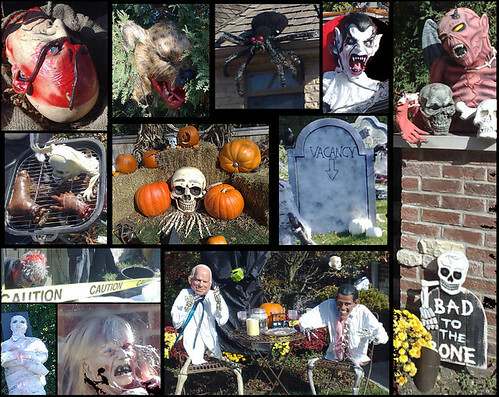 It’s hard to imagine the time and money some people spend on Halloween decorations. Perhaps it is because overdecorating one’s house for Christmas has become too commonplace, to the point where it’s difficult to stand out. Halloween decorating has not yet reached the cliche stage, though it’s rapidly getting there.